EXPERIENCE A NEW LEARNING METHOD IN THE FIELD OF INNOVATIVE HEALTH TECHNOLOGY! The purpose of this program is to give you an up-to-date general perspective of the life cycle of a medical device: from the initial concept until it reaches the European market. Attendees will partake in a 3-day immersive experience in a hospital or living lab within a team of 4 to 7 participants. During this immersive experience, they will interact with healthcare professionals, patients and senior citizens to understand unmet needs in a specific field that requires technological innovation and could lead to the creation of a new product. After this immersive stage, all the teams will meet up at the main site of the Summer School, in the mountains above Grenoble, to further develop their projects through lectures and coaching from professionals in academic and industrial sectors. These projects should continue after the summer school with either a master training, a PhD or a proposal to a project call (national or european). The ClinMed summer school aims to provide the knowledge and multiple skills necessary to develop a new medical device and release it to the market. Participants will learn by taking part to workshops and lectures, divided into thematic sessions (regulation of CE marking, essential legal requirements, risk analysis, pre-clinical testing, clinical investigation, suitability for use, post-market monitoring) but also by presenting the "market" approach, thanks to experts in innovation management (business plans, protection and property management, etc...). Participants will be able to exchange ideas and discuss various issues with clinicians, as well as work on their own projects using all the knowledge they will have acquired during the Summer School. The most promising projects will be awarded opportunities of furthering their project, such as EIT Accelerator or the INSERM structures that supervise this school. Our primary asset, in comparison to a regular summer school, consists in our 3-day immersion in a top-level european hospital or laborotory. Each of these health centers specialises in its own field of research. Candidates to the ClinMed summer school will be asked to choose one of these themes and therefore, a location. 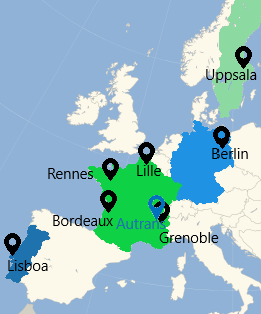 The selected participants will need to travel to the health center of their choosing in either France, Germany, Sweden or Portugal to live a 3-day immersive experience, where they will meet with healthcare professionals, patients, researchers and perhaps even company leaders, in order to understand and work on unmet needs that require technological innovation. More information here. 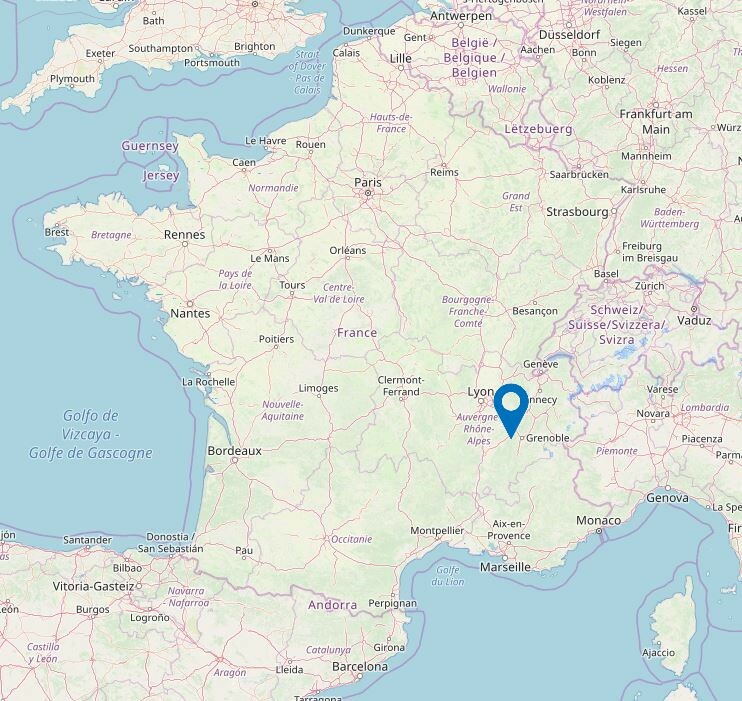 Following the immersion stage, all participants will then meet up at the main site of the Summer School in Autrans, a village located in the French Alps near Grenoble, to develop their projects through conferences and coaching on the tools used in the development cycle of a medical device. These courses will beprovided by academics and industrialists. Trips towards Autrans from the nearest airports or train stations to the hosting healthcenters will be organised by ClinMed.